Parliamentarian Pema Chagzoetsang officially attends the 10th Panchen Lama’s Gratitude Ceremony on 26th January 2019 in New York City. Parliamentarian Pema Chagzoetsang addresses the ceremony by offering a prayer to His Holiness the 14th Dalai Lama and greeting the guests. She lauded the Panchen Lama Gratitude Committee for organizing the ceremony and conveyed a recent proclamation from His Holiness the Dalai Lama. She further briefed the legacy of 1Oth Panchen Lama, his imprisonment due to writing of the 70,000 Character Petition which denounces China’s abusive polices and tortures on Tibetans. She also talked about how Tibetans can keep his work alive by highlighting the endeavors of 10th Panchen Lama to protect and preserve Tibet’s culture, language and religion. 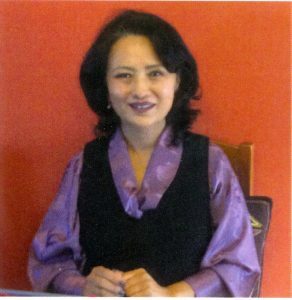 She lauded Tibetans residing in free countries, Tashi Lhunpo Monastery, Central Tibetan Administration, NGOs and Human Right groups across the world for organizing campaigns regarding the 11th Panchen Lama and requested them to continue pressuring China. Finally, she requested all the Tibetans to stay united for a greater cause of Tibet.